Tickets are a minimum $10 donation. All proceeds will go to support Canadian Roots Exchange (CRE). CRE builds bridges between Indigenous and non-Indigenous youth in Canada by facilitating dialogue and strengthening relationships through leadership programs. This year, Bold Realities is extending the conversation on reconciliation to the mining industry - a prominent industry in Canada with a well-known tenuous relationship with Indigenous communities. Our panel will feature Indigenous, industry, community and legal leaders from across the country who will draw on their personal and professional experiences to share perspectives on what mining can look like in the 21st century. We hope you can join us for an interactive discussion that will open dialogue on bold and innovative ways of building respectful partnerships. Bold Realities was created in 2016 with the aim to advance reconciliation within the Indigenous-industry relationship. It was the opening of a dialogue that has become essential to business in today's context: What does reconciliation mean, and how should it shape the relationship between Indigenous communities and corporate Canada? Bold Realities encourages parties to engage respectfully with one another, to listen and learn from each other, and to focus on creating relationships based on mutual respect. Sara Mainville is a senior associate at OKT LLP, where she practices law in the areas of environmental and Indigenous rights law. 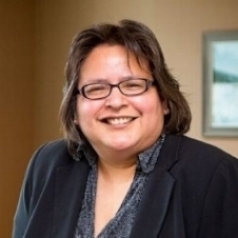 Ms. Mainville brings a diversity of experience as a lawyer and policy advisor at both the Chiefs of Ontario as well as for First Nation governments. Sara Mainville has a Bachelor of Management from the University of Lethbridge, an LL.B. from Queen’s University, and an LL.M from the University of Toronto. Sara is committed to give back to her community of Couchiching First Nation. In 2014, Sara was elected Chief of Couchiching First Nation. Mr. James D. Nasso, ICD.D. founded Unilac Ltd., and served as President for the past 35 years. Mr. Nasso served as the Chairman of Board at Contact Diamond Corp. He serves as the Chairman at Agnico Eagle Mines Limited and has been its Director since June 27, 1986. 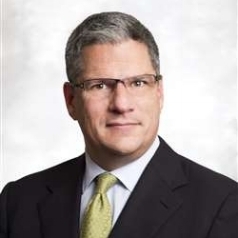 In addition to the positions that he holds with Agnico-Eagle, he served as a Director of Contact Diamond Corp. (formerly, Sudbury Contact Mines Ltd.) since May 7, 1990. Mr. Nasso holds a B.Comm from St. Francis Xavier University. Pujjuut is a former teacher at Maani Ulujuk Ilinniarvik and was Director of Language and Cultural Development with the Kivalliq Inuit Association before serving as a Hamlet Councillor and then as the Mayor for Rankin Inlet for two years. He sits on the board of directors for Nunavut Sivuniksavut (Unique college program for Inuit youth in Ottawa) and the Atuqtuarvik Corporation (private Inuit investment company). Pujjuut started with Agnico Eagle Mines in 2015 as Senior Coordinator for Community Affairs. He enjoys hunting, camping and fishing with his family at their cabin. Pujjuut is passionate about his Inuktitut language and education. Adam Chamberlain is partner in Gowling WLG’s Toronto office. Certified as a Specialist in Environmental Law by the Law Society of Upper Canada, Adam has practised environmental and regulatory law for most of his career, focused on natural resources and infrastructure development. Adam's practice encompasses diverse matters related to the environmental and other regulatory requirements involved with project development. Adam is also extensively involved in relationships between Indigenous communities, governments and project proponents, including on matters related to all manner of developments. Scott’s career has been a deliberate immersion into the world of public policy. His experiences have touched on immigration, labour markets, agri-food, corporate responsibility and civil infrastructure. Scott is currently the head of Policy and Research for the Ontario Good Roads Association. Max is the Co-Executive Director of the Canadian Roots Exchange, an organization focused on bringing together Indigenous and non-Indigenous youth through educational and cultural initiatives.